★★★★ Once again, I found myself judging a book by it’s title. A Discovery of Witches? What is there to discover? Well, apparently a lot. A Discovery of Witches totally blew me away. It’s a great mix of love, magic, and history. It is just so rich with great story-telling! My hands were practically glued to it when I started reading it. The story is about a woman, Diana, who is a witch but has tried to deny that part of herself most of her life. She’s a historian and works at Oxford. It’s there when she encounters, unbeknownst to her, a very precious and magical manuscript. Once the underground world of daemons, vampires, and other witches hear that she has found this long lost manuscript, they start to go after. With the help of a very handsome vampire, Matthew Clairmont, they try to find a way to get the manuscript back into their possession. Yet, along the way, Diana and Matthew fall in love with each other, breaking one of the biggest rules in the magical world. There is SO MUCH MORE to this story than the summary I give above. Almost 600 pages long, so much drama goes down, and this is only the FIRST of a trilogy. Usually, I would say it was too long, but there was never really a dull moment. Diana and Matthew’s adventure is full of twists and turns. You get a ton of history, mixed with magical mythology. All the characters are well drawn out and interesting. It’s so easy to get swallowed into this story and world. In addition, I really liked how the story ended. It stopped at the right part. It isn’t one of those excruciating (and simultaneously annoying) cliffhangers. It left me hanging at the right spot, very curious yet still satisfied. I can’t recommend this book enough. Please go read it so I can have someone to talk to about it. lol (And discuss that if the book is ever adapted in a movie, they must cast Gaspard Ulliel as Matthew.) The second book doesn’t come out until 2012, which seems so far away. I can’t wait to see what will unfold next for Diana, Matthew and company. Really, people, this book is magical, and go get it and discover why. 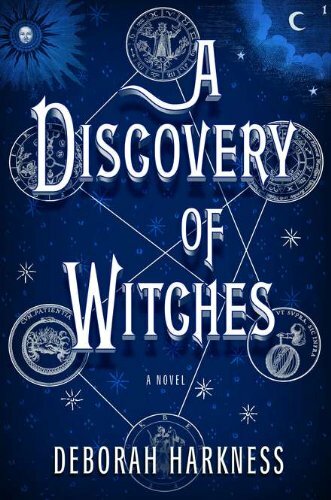 A Discovery of Witches by Deborah Harkness is available to purchase at our TYF store! Click here to buy! Next ArticleBook review: 'Delirium' by Lauren Oliver is amazing!